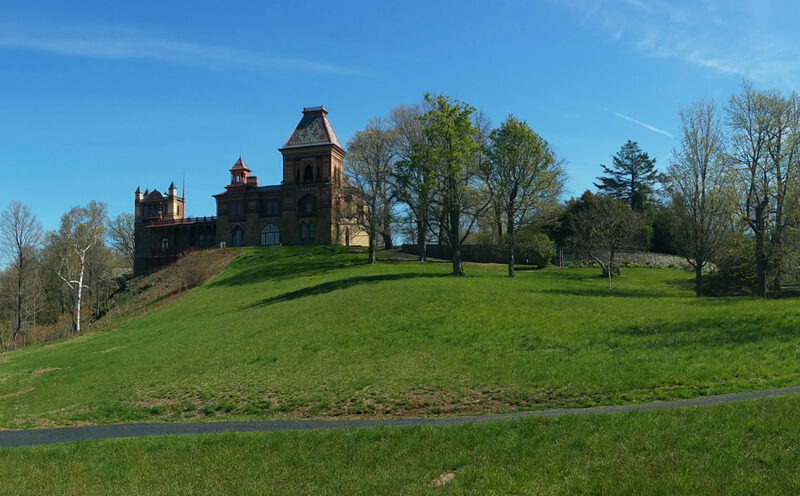 The exhibition, entitled Follies, Function and Form: Imagining Olana’s Summer House will take place at the estate of 19th-century landscape painter Frederic Church in Hudson, NY. The show is comprised of 21 sketch designs to imagine a summer house on Olana’s grounds. 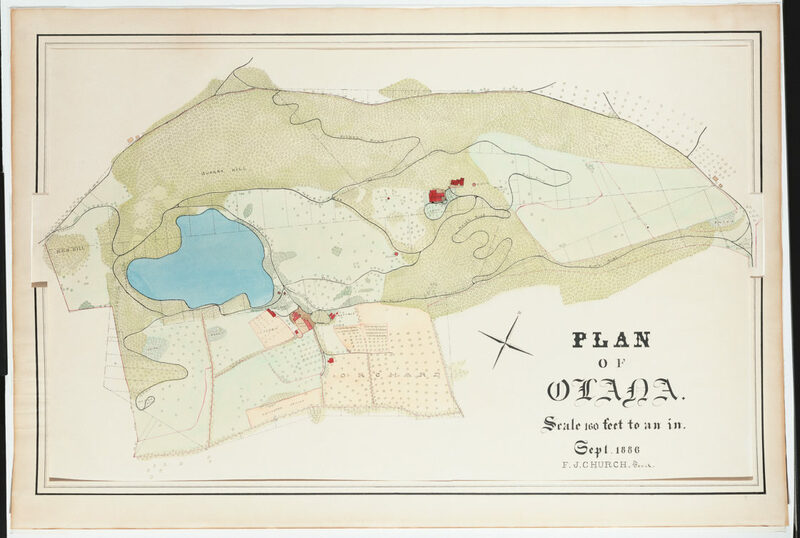 This inquiry stems from an enigmatic note on a 1886 site plan identifying the location of Olana’s unrealized summer house. The New York Times published a glowing preview of the exhibition in the Sunday Arts Section. As this assignment combines David’s interest in architecture, design, landscape, and nature, all reflecting American history and culture, he is especially pleased to participate. David has designed an ode to the landscape surrounding Olana, with its ever-changing light. His summer house is a southern-facing pavilion constructed of mirrored glass and posts made from the trunks of oak trees, with an intimate viewing room and an adjoining reflecting pool. After following a path that leads around the pavilion, visitors enter a subterranean room animated by light filtered through the reflecting pool above. They then ascend a graceful spiral staircase to reach the viewing room, whose opaque glass ceiling and oak-framed glass walls etched with geometric patterns both frame and contain the view beyond as they allow further light-play. Looking out, the Hudson River emerges from behind the tree tops. The exhibition, which begins August 14 and continues through November 13th at Olana's Coachman House Gallery, is being curated by Mark Prezorski, of The Olana Partnership, and Jane Smith, of Spacesmith. Admission is free. Frederic Joseph Church, Plan of Olana, September 1886, ink and watercolor on paper, 22 1/8 x 36 ¼ in. Collection Olana State Historic Site. New York State Office of Parks, Recreation and Historic Preservation.